Submitted by lynn on 02/03/2016 - 9:07pm. Ring in 2016 with Gogobot San Diego at their New Year's Party, "Dance Dance Resolution" at the beautiful Rancho Santa Fe Motor Club! All proceeds benefit The Seany Foundation to help bring hope and happiness to kids affected by cancer! A friend and I attended Dance Dance Resolution (note the play on words from the popular DDR game) as media on Sunday January 31, 2016 through Delicious Buzz. The weather was all sorts of wacky that day, cold, wet and windy, but luckily the event was held indoors! 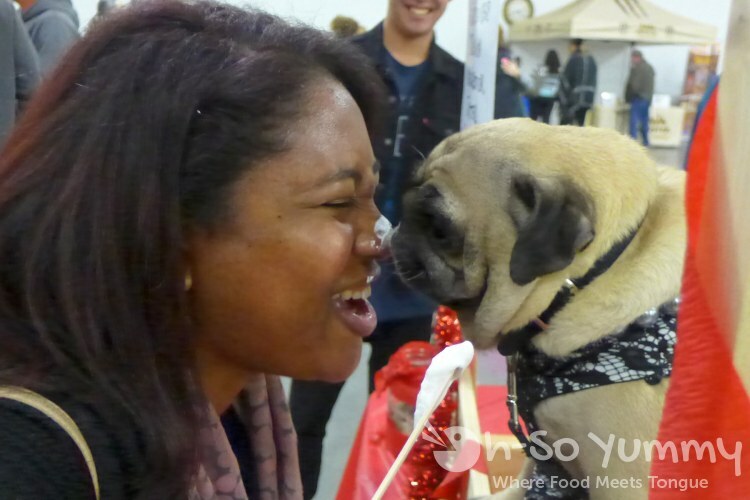 Check out the highlights of the event below! 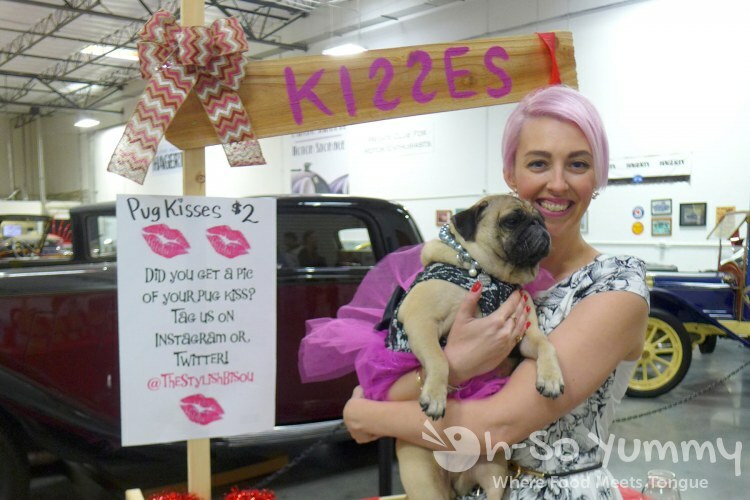 A $2 donation to the charity got you adorable pug kisses from Chloe, shown here with loving owner The Stylish Bisou!